I am leaning towards this one. Anyone got any comments on the VIs Jim posted? Can it be enhanced? I am thinking that this satisfies the requirements of this review and that it should be used as is. Is the gap between the small icon and the wires intentional? 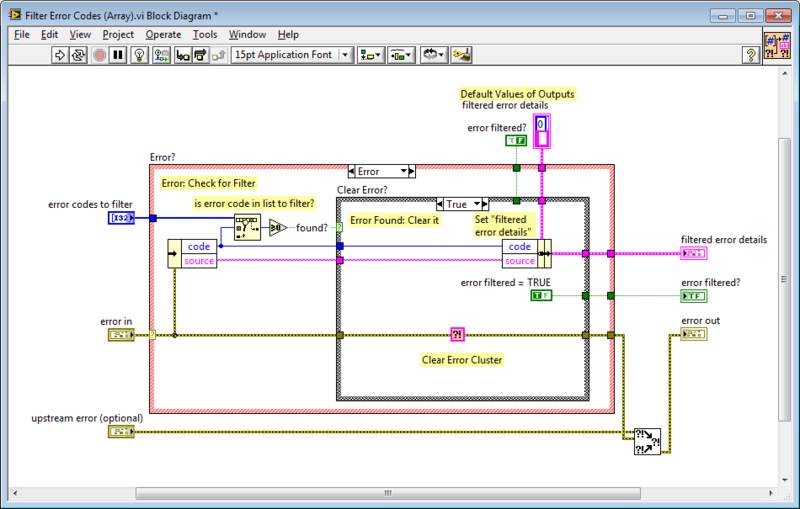 It does visually indicate that errors are cleared, but at the same time looks "wrong". It is talked about in the above posts tho, and we tried to minimize it. But anyway I think I would rather like to see the icon stretched out a little then having the little gabs. I am happy with that CP too. I have all the information I require. I will move this review to pending and close it in a few days. In that case I say "brilliant" too. I'm with Wouter on this - just make the icon a bit wider. 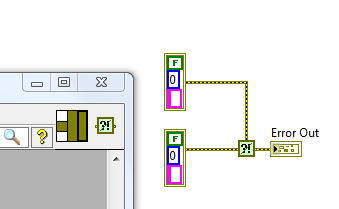 If you use François's trick, you will probably have problems with matching some of the wires, because they have a specific pattern and you would need to move the VI a couple of pixels this or that way to match it. I think that this isn't too big and could probably be made better with a few minutes of polishing. 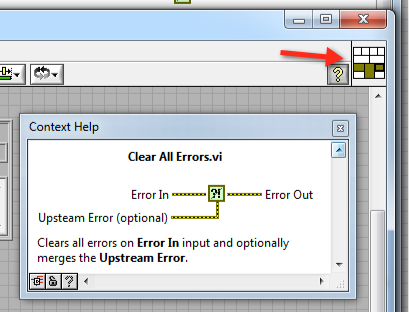 I would move the Merge Error inside the Error case. 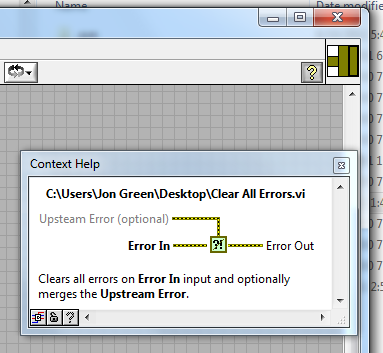 If "error in" doesn't contain any error the output should be the "upstream error", i.e. no need to merge. Thanks everyone for their input - all non-functional comments and suggestions have been reviewed with respect to updating the code Jim posted.